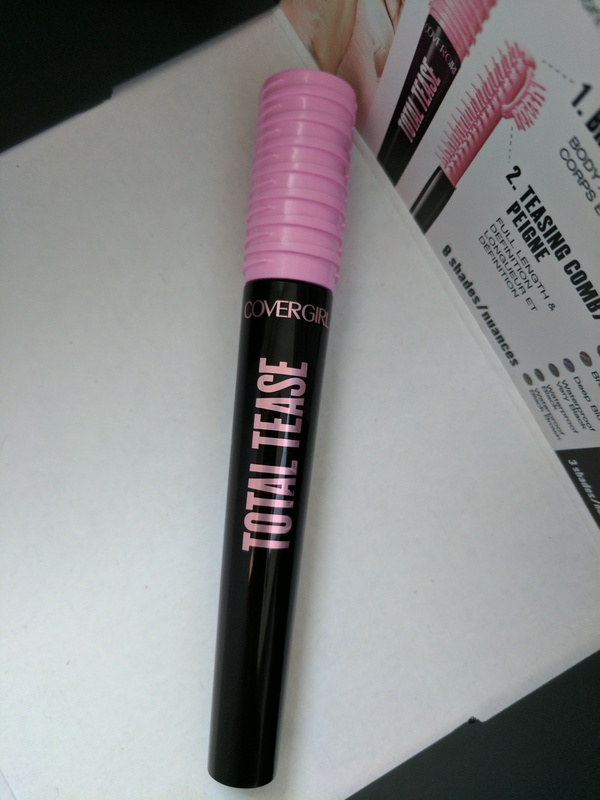 Covergirl total tease mascara has an innovative and unique brush which allows to fully lengthen lashes. The “teaser” ensures that the inner corner lashes are properly coated & defines the outer corner lashes by fanning them out for a more dramatic look. It also doesn’t clump up very much which makes it ideal for thinner eyelashes. 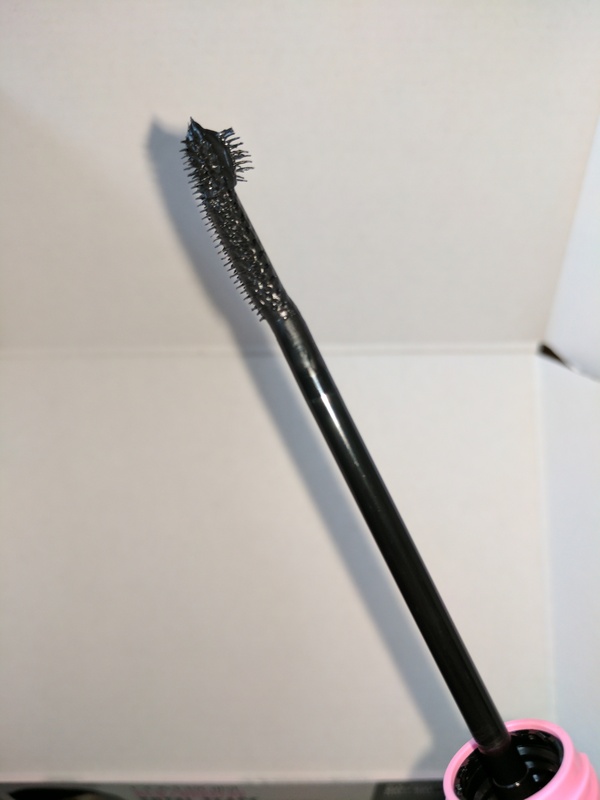 The teaser has dense bristles , which grabs on to the lashes really nicely and is perfect for separating the lashes. The formula is really rich and thick. Most importantly I didn’t experience any irritation or burning sensation in my eyes. Overall, this mascara gives more length than volume and it defines the lashes for a more glamourous look. 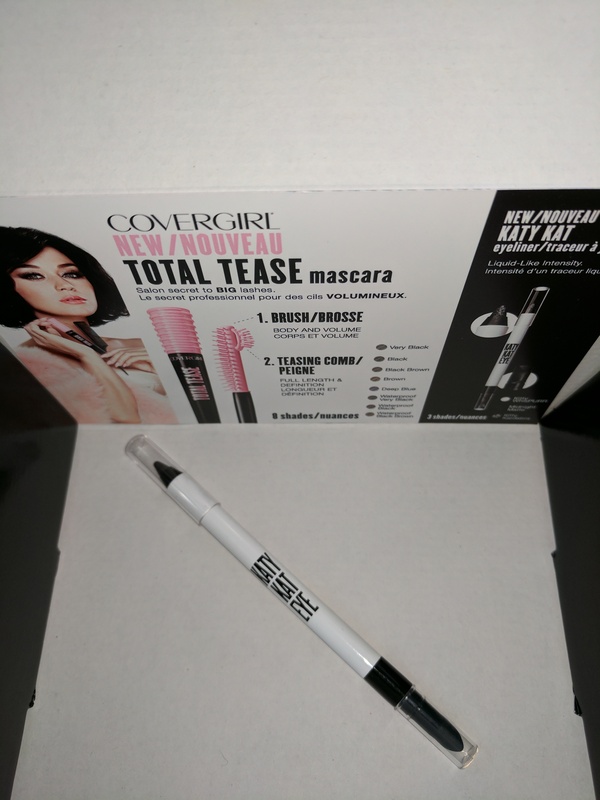 The second item that I received in this Voxbox is Katy Kat Eyeliner in Black. 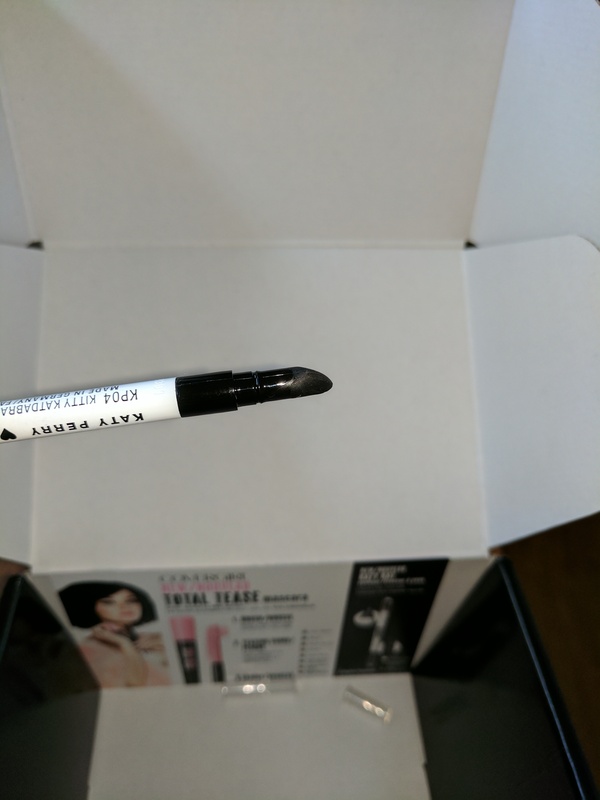 This eyeliner is so easy to apply. 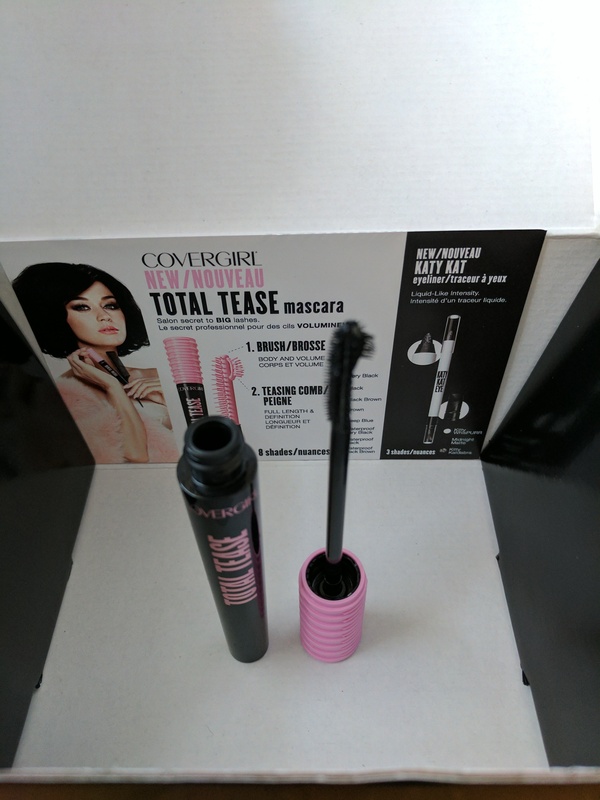 The formula has a liquid like feel and texture to it. 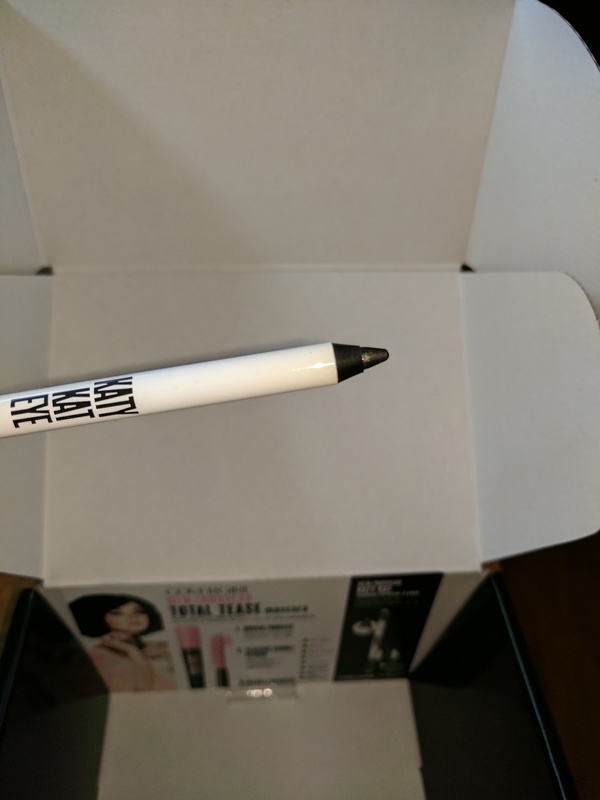 The eyeliner literally glides on your skin and you can use the end to either clean up any mistakes or to smudge the lines for a more intense look. My favourite part is the angled sponge tip on the pencil that really helps to blend well and smudge makeup. The packaging for both the products are simple and cute. And both the products are long lasting. Overall, I would definitely recommend these products as they perform efficiently and are easily affordable. 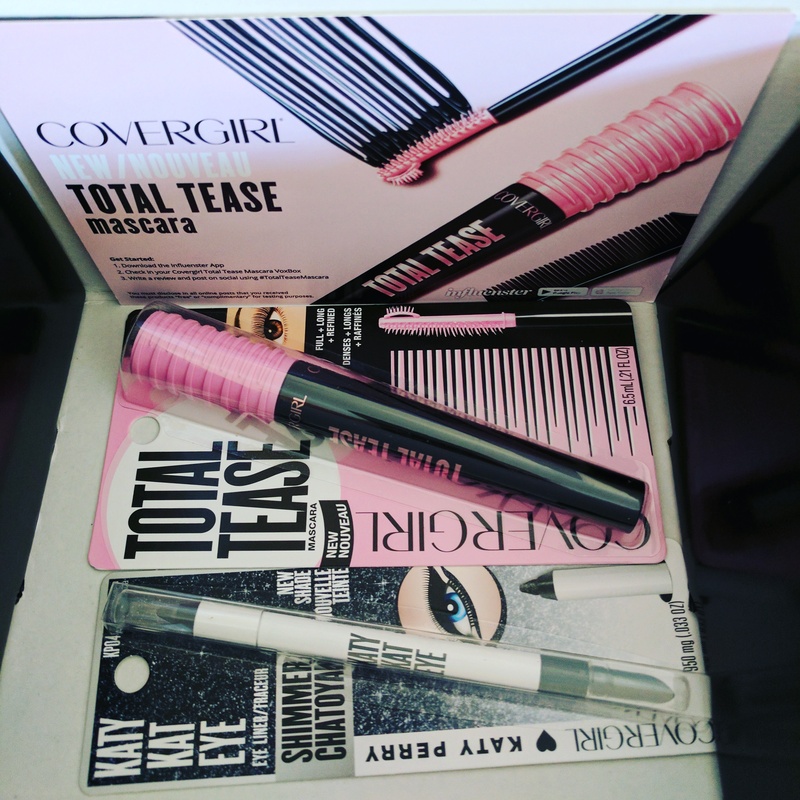 Thank you CoverGirl and Influenster for sending me these products to try! !